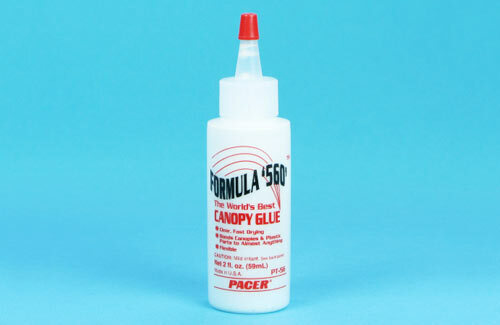 All Products > "5525725 ZAP Canopy Glue"
Formula 560 Canopy Glue offers exceptional bonding of most plastics and vinyl. Dries clear and flexible making it perfect for attaching airplane canopies and vacuum formed ABS parts. Non-toxic and water soluble for easy clean-up.